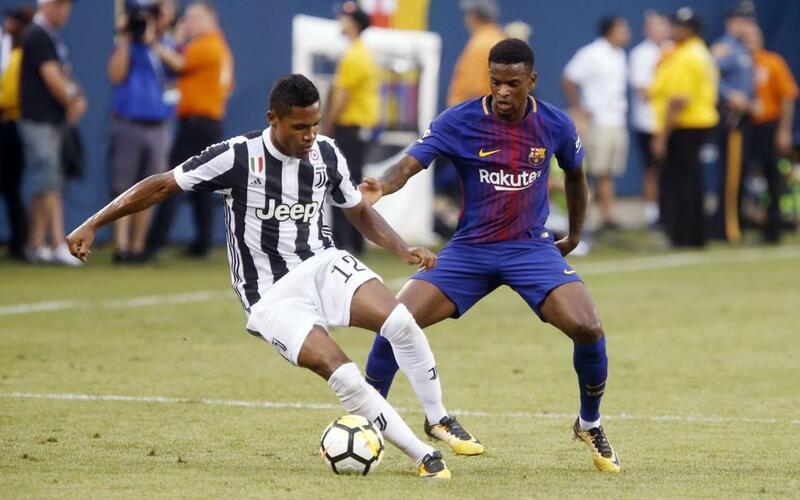 FC Barcelona’s defeat of Juventus on Saturday brought the first playing time for Nélson Semedo in the famous jersey and the first match for Ernesto Valverde as first team boss. The Portuguese right back looked solid in his maiden outing, with 87% of his 31 passes finding their target. The coach used a mighty 22 players in the game, fielding a completely fresh line-up in the second half. Goalkeeper Adrià Ortolá also played his first 45 minutes for the first team. The 82,104 spectators amounted to the biggest ever crowd for a soccer match in New Jersey. Neymar Jr scored the first goal of the 2017 preseason, following on from Arda Turan (2016, v Celtic), Luis Suárez (2015, v LA Galaxy), Joan Román (2014, v Recreativo Huelva), Alexis Sánchez (2013, v Valerenga) and Dani Alves (2012, v SV Hamburg). Valverde started the game with Cillessen, Piqué, Rakitic, Iniesta, Messi, Neymar Jr, Mascherano, Alcácer, Digne, Aleix Vidal and Samper. After the break, his all-new eleven featured Ortolá, Marlon, Sergio, Denis, Arda, Suárez, Semedo, Aleñá, Jordi Alba, S. Roberto and Umtiti. Barça enjoyed a massive 63% of the possession and their 670 passes almost doubled the Italian tally of 388. This was the fifth time in six years that Barça have started the preseason with a win. In 2016 they beat Celtic 3-1; in 2015 they beat LA Galaxy 2-1; in 2014, they beat Recreativo Huelva 1-0 and in 2012, the 2-1 victims were SV Hamburg. The only opening defeat came in 2013, a 2-0 loss against Bayern Munich.